Local Business Owners Talk Shop in Maple Grove | Donato’s Floral | Maple Grove Magazine. It’s a helpless feeling when it happens. You flush the toilet and instead of going down, the water starts rising. You watch as the water, toilet paper and anything else that happens to be in the toilet slowly inches its way to the rim of the bowl. Your heart races, you palms get sweaty, and a hopeless feeling of panic sets in as you brace for the flood. Clogged toilets are a nightmare to deal with but if you know what you’re doing you can help avert a disaster. There are occasions when you toilet seems like it’s plugged when in fact it really isn’t. In order for a toilet to flush properly it needs to have a certain amount of water rush into the bowl at a certain speed. If there isn’t enough water, or if it doesn’t enter the bowl fast enough, the toilet won’t have the suction it needs to create a proper flush. 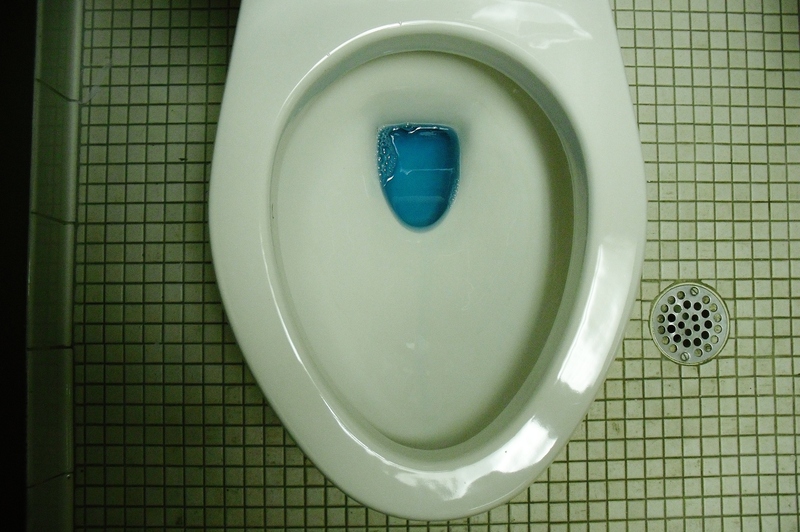 Over time the ports that are at the top rim of the toilet bowl can become choked off by calcium and lime deposits from your water. When these ports get plugged the toilet does not get the rush of water that it needs. To take care of the problem you need to get yourself a good de-limer. 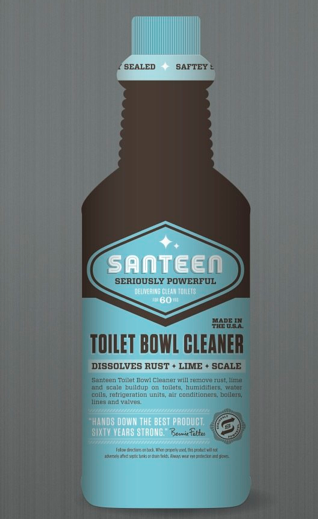 The best one the we have fond is a product called Santeen Toilet Bowl Cleaner. Our plumbers dry off the rim of the toilet and then duct tape over the ports. This keeps thesanteen from jut pouring through the ports and lets it really work its magic. Pour the de-limer into the overflow tube located in the toilet tank (it has the flapper attached to it). Let the Santeen eat away at the lime build up for about 15 minutes. Take the tape off of the ports. Be careful not to get the Santeen on your hands (gloves are recommended , it’s nasty stuff). Pour more Santeen into the overflow to flush anything more out of the toilet. You should see all kinds of nastiness come out. Try flushing the toilet again, you should see marked improvement. If you’re worried about an overflow you should shut-off the supply of water to the toilet. The shut-off is found on the left down behind the toilet. Turn it until it stops the flow of water. Next you need to get a plunger. Use a plunger that has a pull out that will make a good seal in the bottom of the bowl. 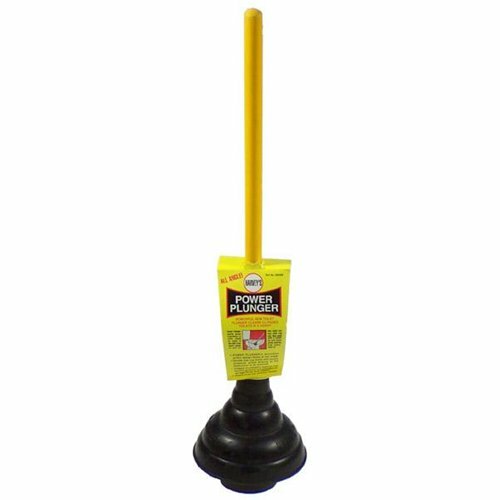 A good one that you can use is the Harvey power plunger. Plungers that do not have the pull out option will not make a great seal and therefore will not have the push that the power plunger has. A plunger is used to force whatever is blocked in the toilet through. If you cannot get the block taken care of by pushing it trough you may need to use something that pulls the blockage out. To do this you ill need a toilet auger (also called a toilet snake). 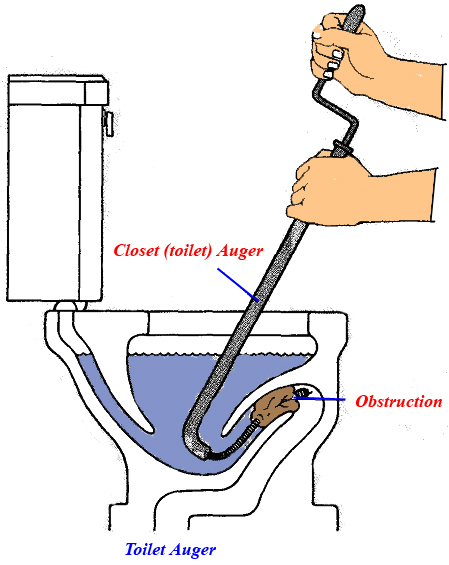 A toilet auger is used to grind through and/or grab a blockage. Be careful when inserting the toilet auger into the toilet bowl not to scratch t bowl with the spring on the auger. Marks left by the auger will be very difficult to remove. Slide the auger down into the bend at the bottom of the bowl. Extend the cable out into the toilet until you hit a blockage. Gently turn the handle and grind or grab the blockage and pull it back out. Be careful if you find resistance don’t force it. If the spring binds and then releases violently you could potentially crack he porcelain of the toilet from the inside. After removing the blockage turn the water back on and attempt to flush again. Along Came Polly toilet scene – YouTube. Here’s a story about our stores 90th anniversary that was in February. 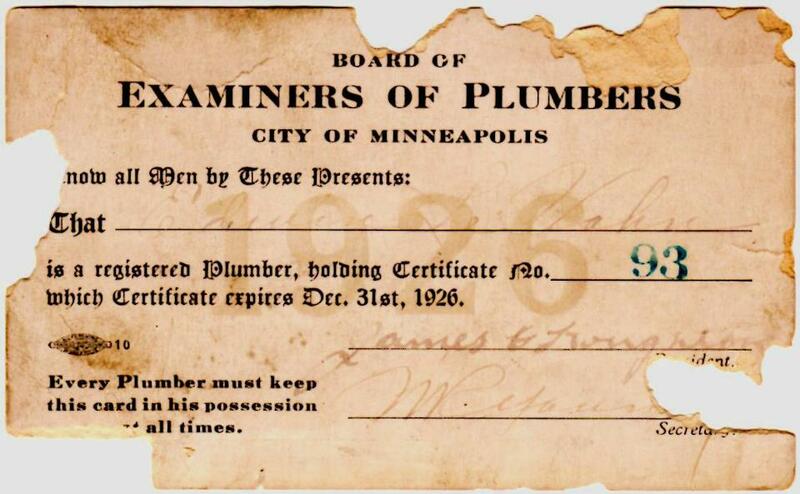 We got our plumbing license from the city of Minneapolis on February 13th, 1923. We’ve done plumbing at: the University of Minnesota’s presidents house, TCF Bank Stadium, the artist that formerly called himself the artist formerly known as Prince’s house, Minnesota Supreme Court Justice and NFL hall of famer Allen Page’s house, Tennant Company, Northwestern College, and hundred’s of other residential and commercial plumbing sites. It’s been quite a ride. They say that only 30% of family business’ survive into the second generation, 12% are able to make it to the third generation, and only 3% make it to the fourth generation. We are on generation #4 and we don’t plan on giving up anytime soon. Business Matters: Maple Grove company celebrates 90 years. The Maple Grove landmark turns 90 this month. This family owned establishment was started by brothers Arthur, Ernie and Ed LeVahn in 1923. The business thrived there until 1994, when it moved from its original North Minneapolis location into Maple Grove. There store is owned by Loren LeVahn and managed by his son, Andrew LeVahn. The store is celebrating its 90th anniversary this month. They rent and repair, size and cut, sharpen and test—but that isn’t all they do. 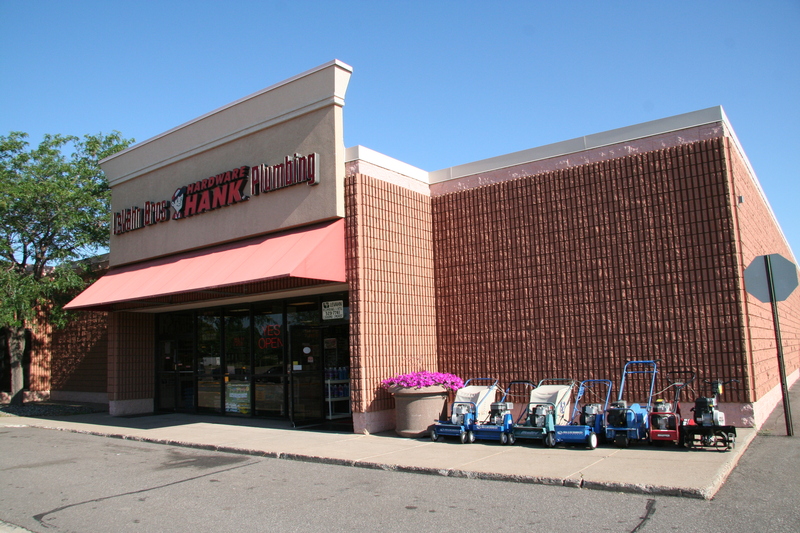 Their extensive plumbing knowledge, combined with the vast amount of plumbing parts they stock, is but one reason that several stores, including Lowe’s, send their customers to them. Another unique aspect of the business is their popular blog, which brings inquiries from all over the country. This-easy-to-follow, step-by-step guide is written from experience, and gives customers all kinds of informative tips and tricks. Andrew LeVahn says he tries to post about things that are relevant to the time of year, as well as issues he has heard customers discussing. The blog is filled with pictures, recommendations and product highlights. Their attitude is to try to do as much as they can for the customer, he says. Their biggest strengths are their longevity, knowledge and professionalism, Andrew says. They try to be as honest and professional as possible—meaning they do jobs right the first time and don’t charge their customers just to charge them. If it’s not broken, they won’t fix it—and furthermore, if they can help you fix it yourself, they will try their best to do so. “We do work from restaurants, industrial buildings, universities to fixing the faucet at the person’s house down the road,” says Andrew. Some eclectic jobs have included some work at Prince’s house and servicing Eastcliff, the President of University of Minnesota’s home. 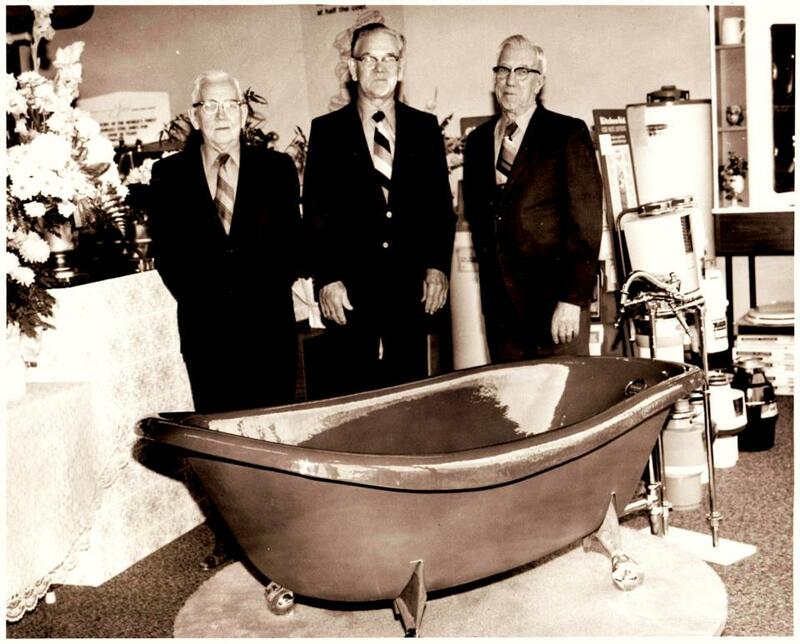 LeVahn Brothers Hardware Celebrates 90 Years | community businesses | Maple Grove Magazine. LeVahn Bros. Plumbing and Hardware is a fixture in Maple Grove today. But you have to go back to 1923, when Warren G. Harding was president, to discover the origins of this local company that’s celebrating 90 years in business in February. At their retail shop in Maple Grove, LeVahn Bros. is the kind of place where you come to get answers. A fourth-generation family owned business, the hardware store has an old-school feel with aisles of tools and parts and employees that can answer questions about that doodad that you need to fix a leak or to install something. Andy LeVahn is the fourth generation of LeVahn’s to run the business, but it was his great–grandfather, Art, and his two brothers who started LeVahn Bros. Plumbing in North Minneapolis back in 1923. At the Maple Grove store, old black and white photographs adorn a wall depicting the early days of the business. 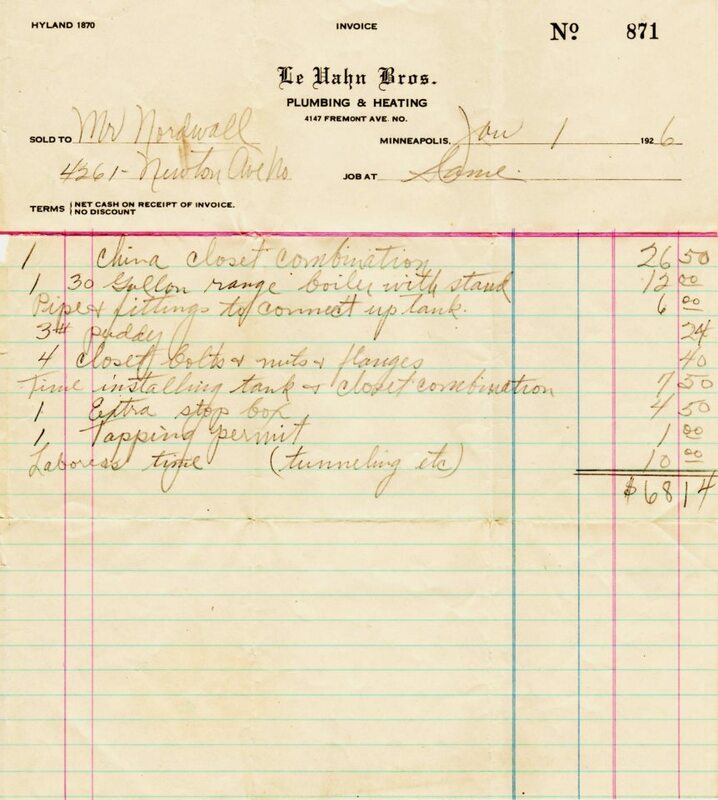 Back then plumbers used a horse and buggy and later a Model T Ford to answer service calls, and a receipt from 1923 shows outfitting an entire house in Minneapolis with plumbing cost $68.14. Today, the prices and the modes of transportation have changed, but LeVahn Bros is still a plumbing business. Andy’s father, Loren LeVahn, the current business owner, added a hardware store to the business in 1994. The retail business brought the company to Maple Grove, and the plumbing/hardware store pairing has helped sustain the business. “When the hardware store gets slow, the business in the plumbing seems to be a little bit better, so they can help each other out that way,” said Andy LeVahn. It’s customers like Dennis Peterson of Maple Grove that help explain the company’s true longevity though. Peterson is one of many loyal customers who frequent the shop on a regular basis. The roots of good customer service go back 90 years for LeVahn Bros., and the younger generation believes that’s just as relevant today as in 1923. 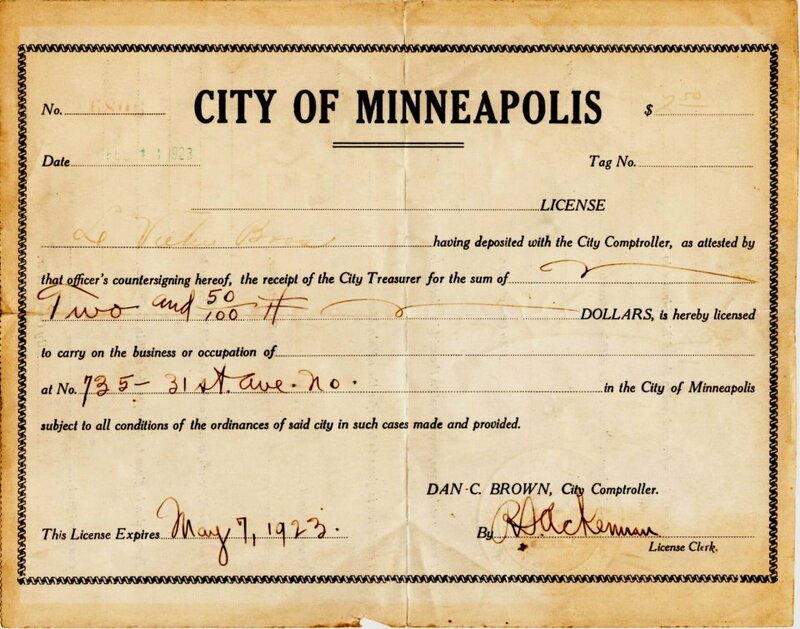 “My great-grandfather started it in Minneapolis. They always try to put the customer first, and that’s what we try to do also,” said Andy LeVahn. Here’s a link to the video from Channel 12 TV: Business Matters: Maple Grove company celebrates 90 years. Minnesota is a hotbed for radioactive gas radon | StarTribune.com. 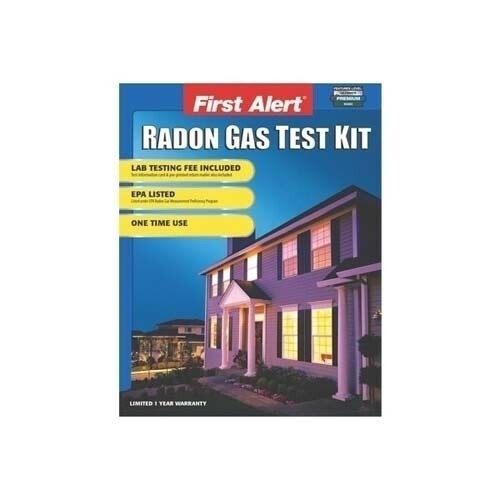 Here’s a news story from Star Tribune about how prevalent Radon Gas is in Minnesota. It’s incredibly easy to test your home yourself to find out if you have a problem with radon. I tested my home last year with a First Alert test kit that I got from our hardware store. The test kit includes instructions that were very easy to follow. I placed my tester out in a specific spot based off of the instructions and sealed it up 24 hours later. I received my test results after 2 1/2 weeks that indicated that I had low levels of Radon present. My levels were low enough that I didn’t need to do anything. It gave me peace of mind to know that I wasn’t poisoning my kids, wife or myself with radon in my home. I highly recommend getting a test or having your home professionally tested if you have serious worries and want more immediate results. I was a little bored today so I decided to do some clean up around the shop. Here’s a selection of some of the interesting looking things that I found. Enjoy.